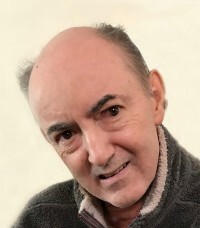 Merle "Bucky" A. Mohney, III, 60, of Zelienople, PA, formerly of Kittanning and Worthington, passed away Friday, April 5, 2019 at his home. He was born December 4, 1958 in Kittanning to Merle "Bud" A. and Betty E. (Jordan) Mohney. Bucky grew up in Kittanning and later lived in Worthington for 33 years before settling in Zelienople with his mother and sister. He attended Franklin Union Baptist Church in Worthington and loved to read his Bible. In Zelienople, Bucky was an active member of the Passavant Men's Nights, the fitness center, and the group which Bucky named, "Y.A.P." Young Adult Handicapped Programs. He was full of life and always on the go. Exercising, playing indoor games, riding all-terrain vehicles and going to tractor pulls were some of his favorite activities. When Bucky just wanted to relax he could usually be found reading, watching sports or working on one of his many collections. Bucky had a number of pets over the years, and each one held a special place in his heart. His friends and family will always remember how much of a conversationalist he was and will miss his friendly and vibrant spirit. He is survived by his loving mother, Betty, and sister, Tammela "Tammy" B. Mohney, of Zelienople. Bucky was preceded in death by his father. Friends will be received from 2-5 PM on Sunday, April 7, 2019 at the Bauer Funeral Home and Cremation Services, Inc., 515 N. McKean Street, Kittanning. There will be additional visitation at the funeral home from 12 p.m. until the time of funeral services at 1 PM on Monday, April 8, 2019 with Rev. Marcella "Susie" Esseck officiating. Burial will be at Lawn Haven Burial Estates, East Franklin Township, Armstrong County, PA.
Memorial contributions can be made in Bucky's name to the Passavant Retirement Community, 105 Burgess Dr, Zelienople, PA 16063. Arrangements are being handled by the Bauer Funeral Home and Cremation Services, Inc.
To send an online condolence to Bucky's family, visit: www.bauerfuneral.com.